To Save Her: Kaye's Crates! 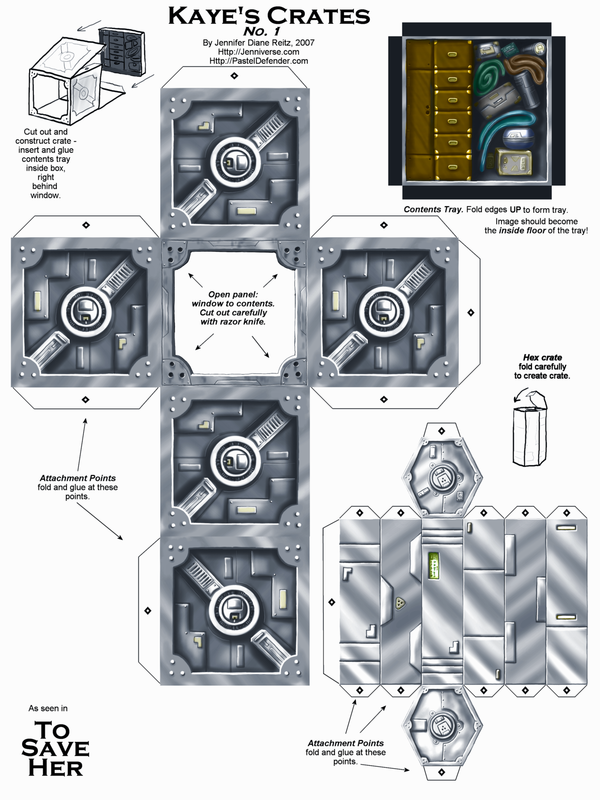 Papercraft of Kaye Haychold's cargo crates that you can download, print, and build! 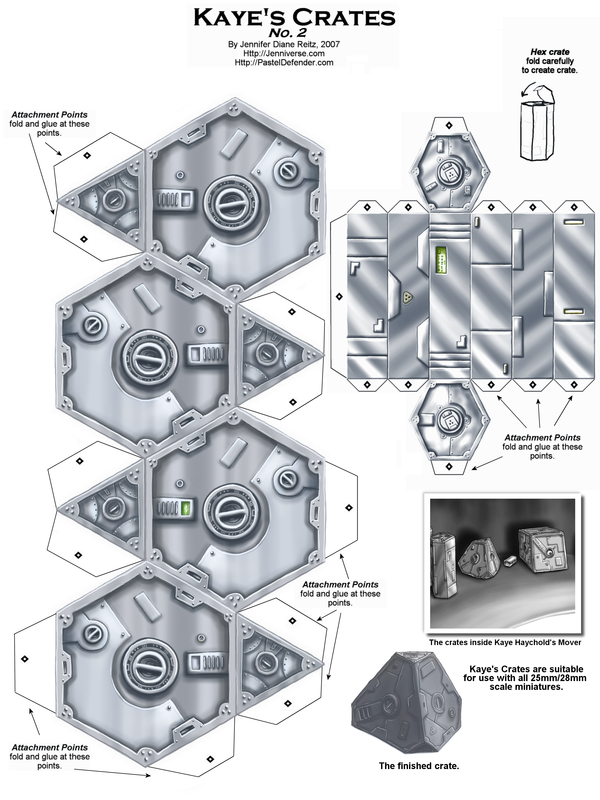 Suitable for use with all 25mm/28mm wargaming or role-playing figurines! Just right click and download image, or left click to see it full scale.